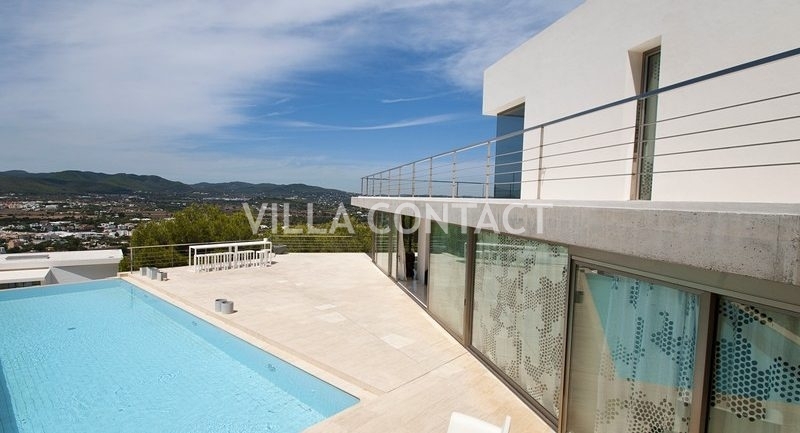 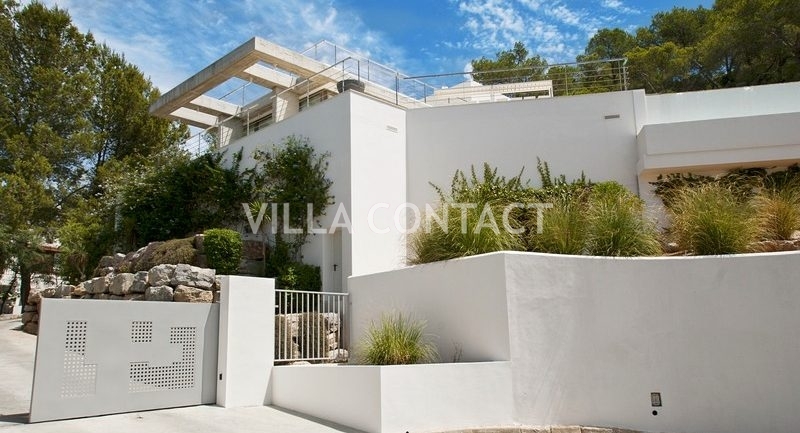 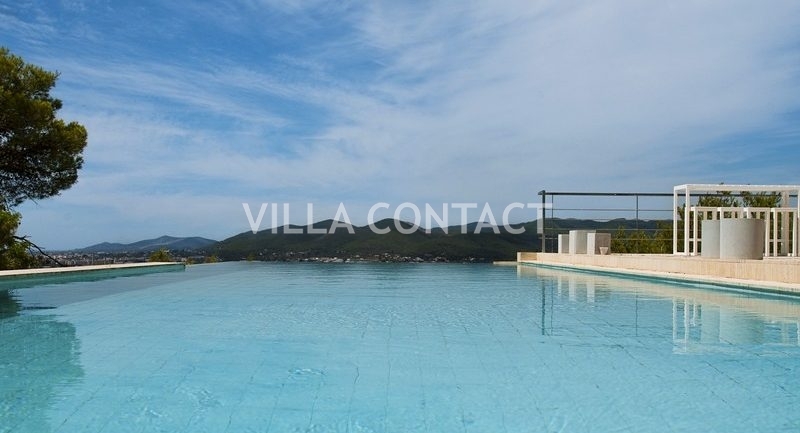 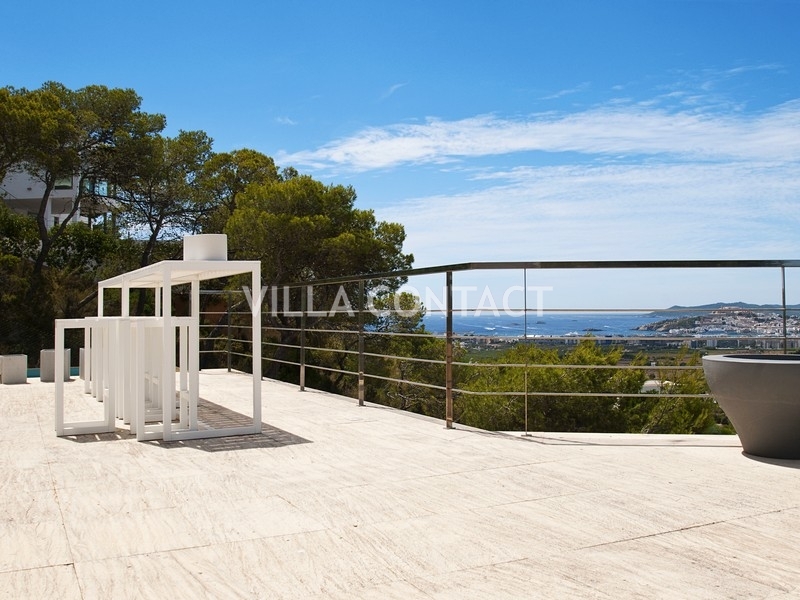 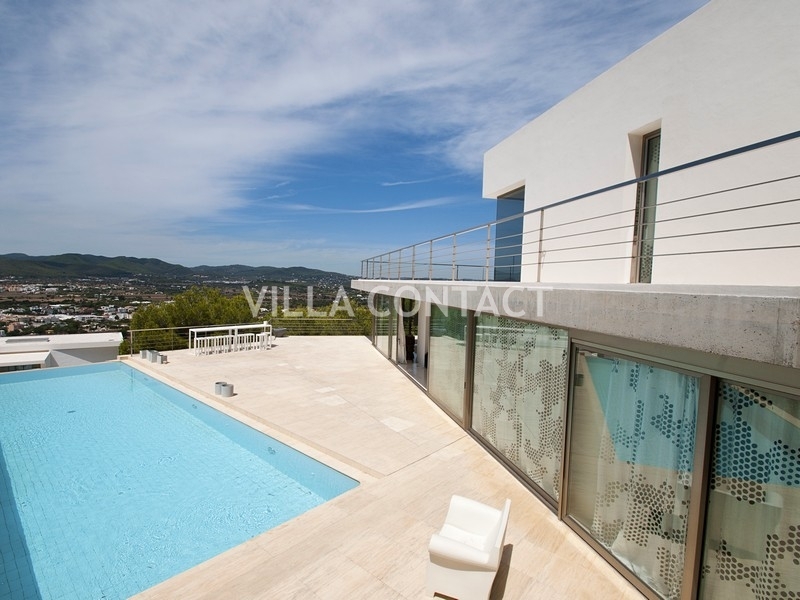 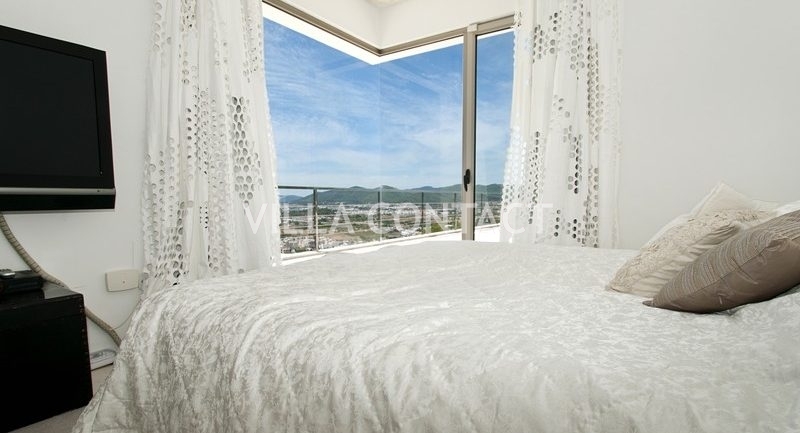 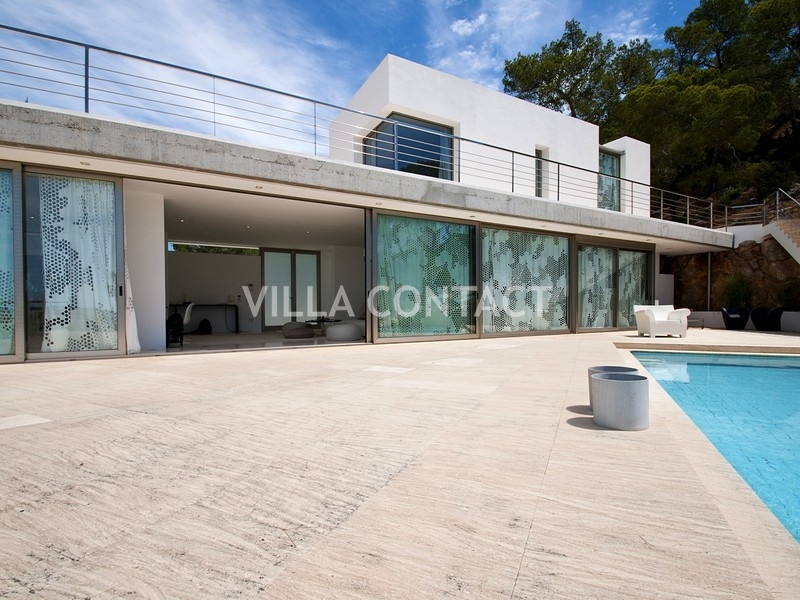 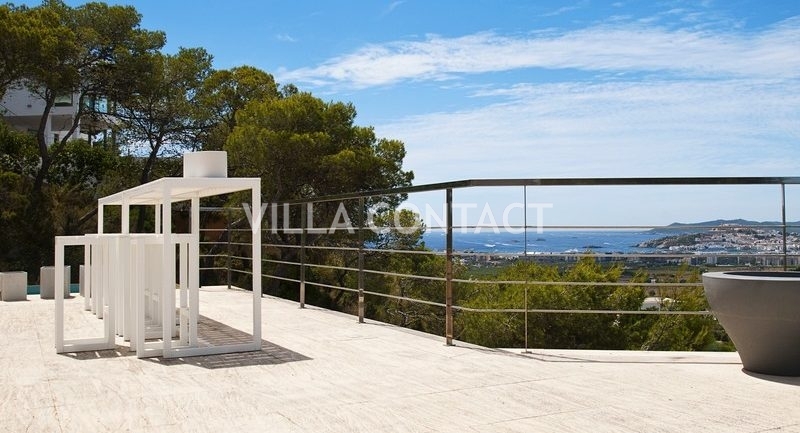 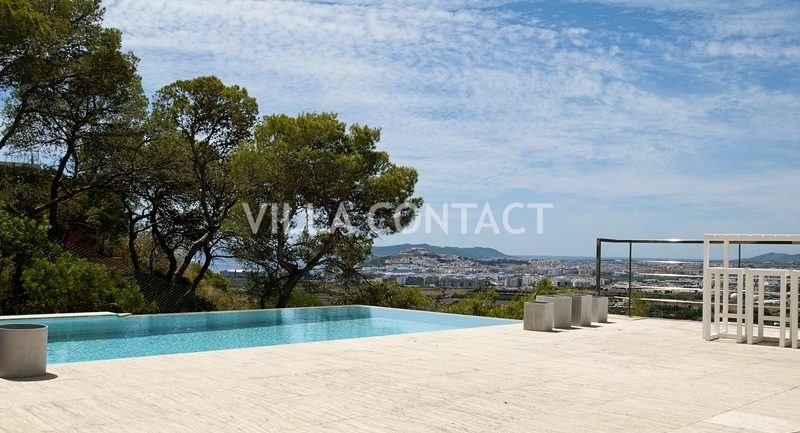 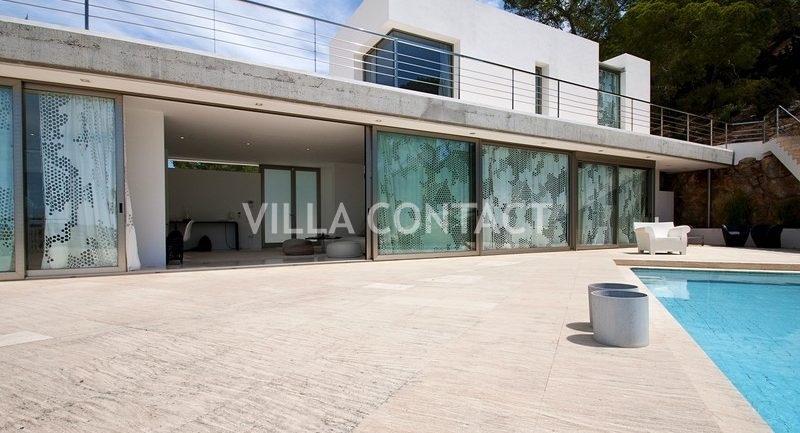 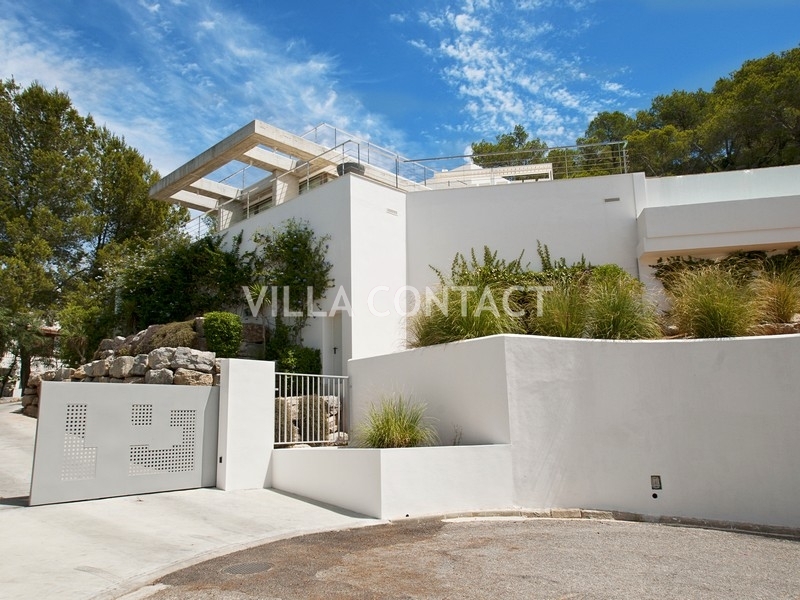 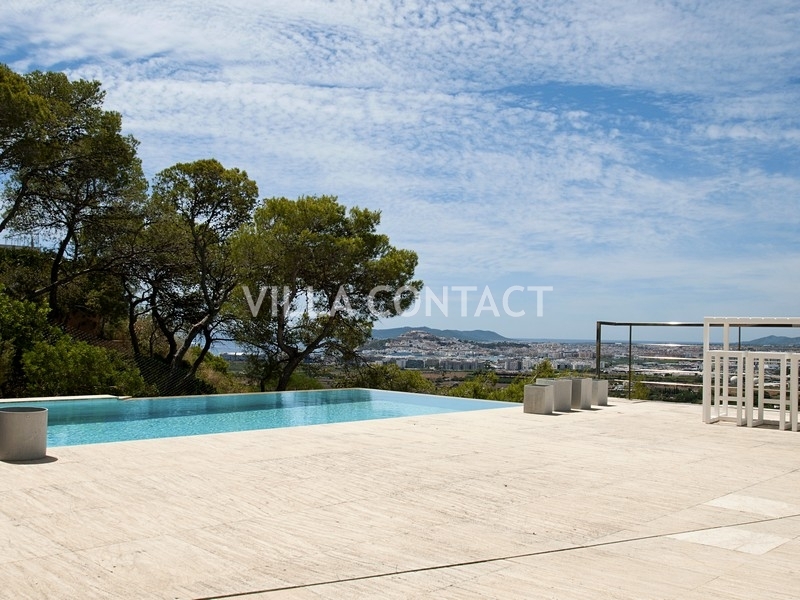 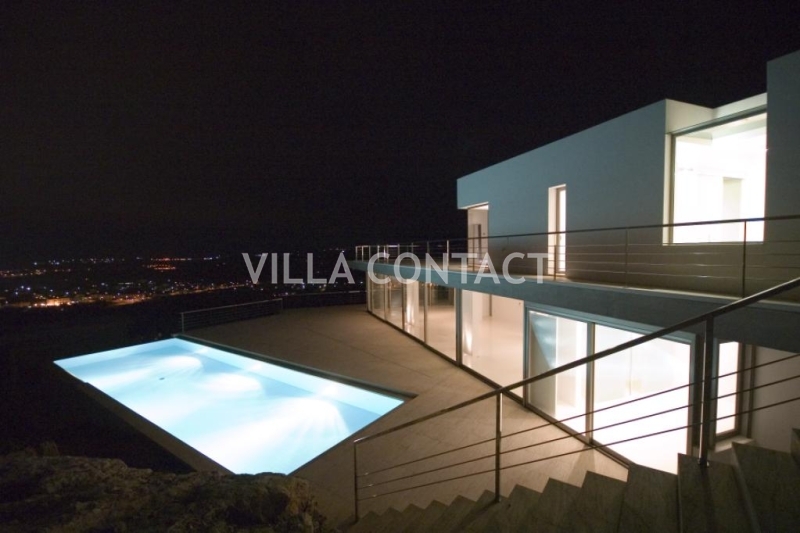 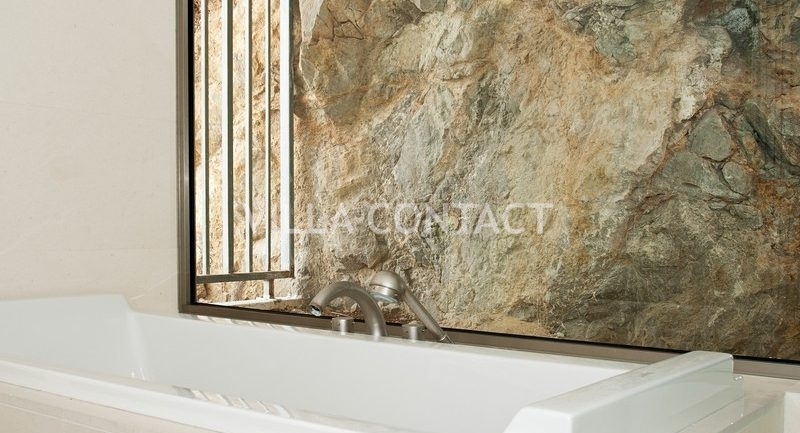 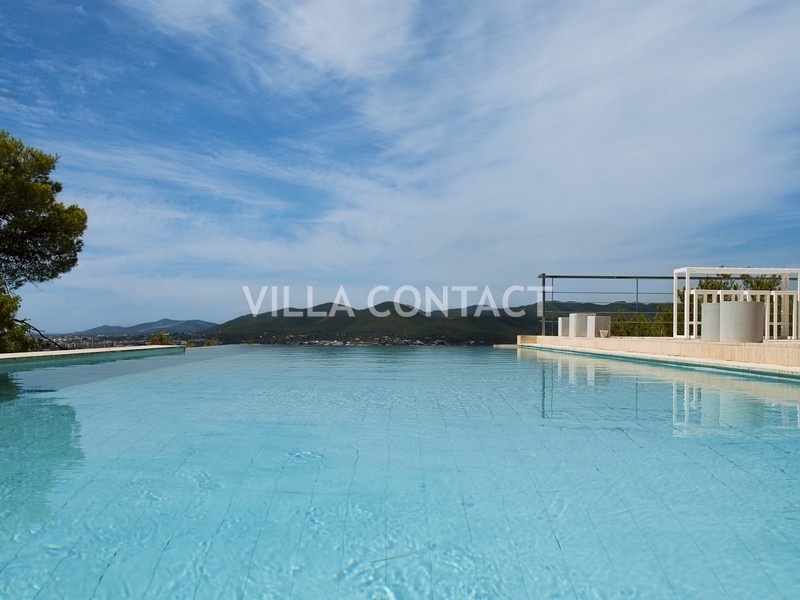 This impressive villa is situated on a hill within the exclusive Can Rimbau urbanization and boasts of stunning views across the sea and Ibiza town. 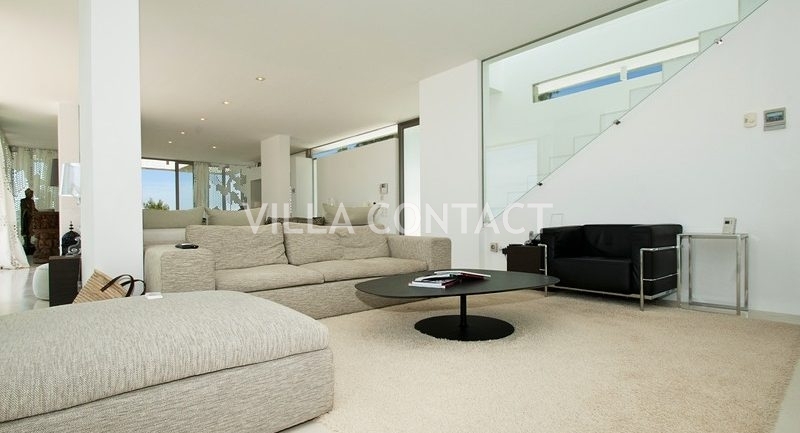 The property is distributed over two floors and offers two large ensuite bedrooms, a fully fitted kitchen and spacious communal areas. 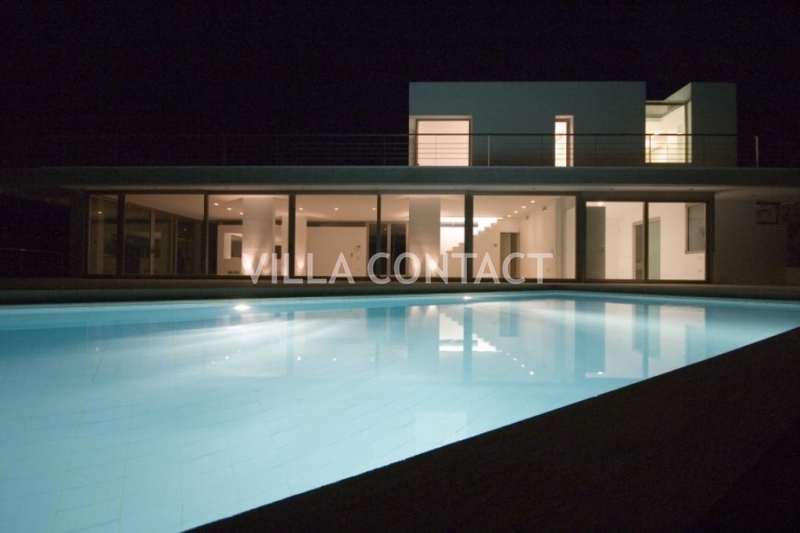 The ground floor has a large bright living room with large glass sliding doors that open onto the teak deck and pool area. 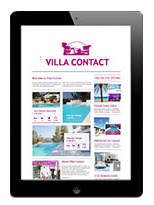 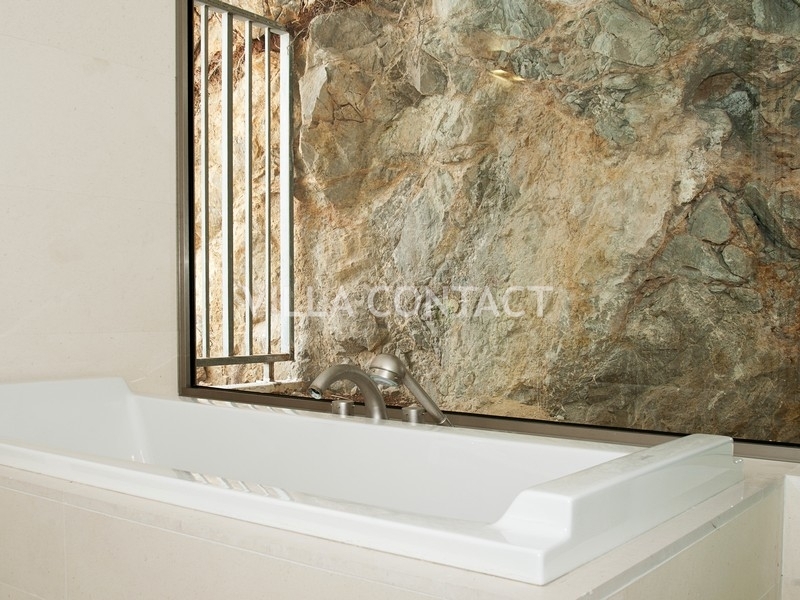 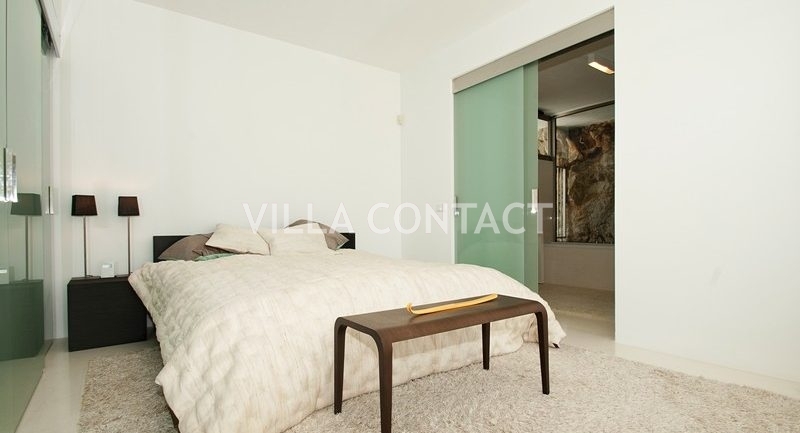 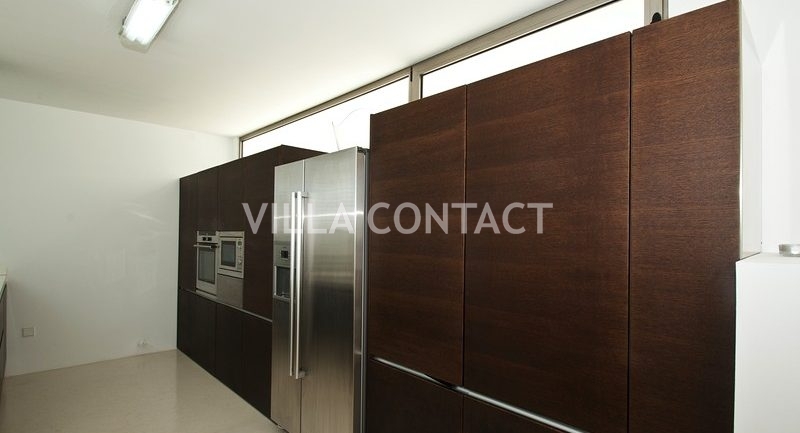 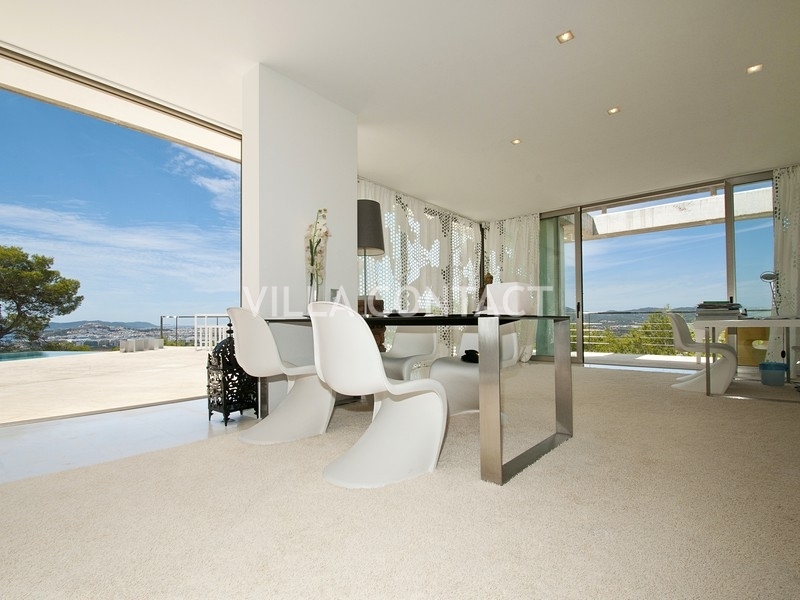 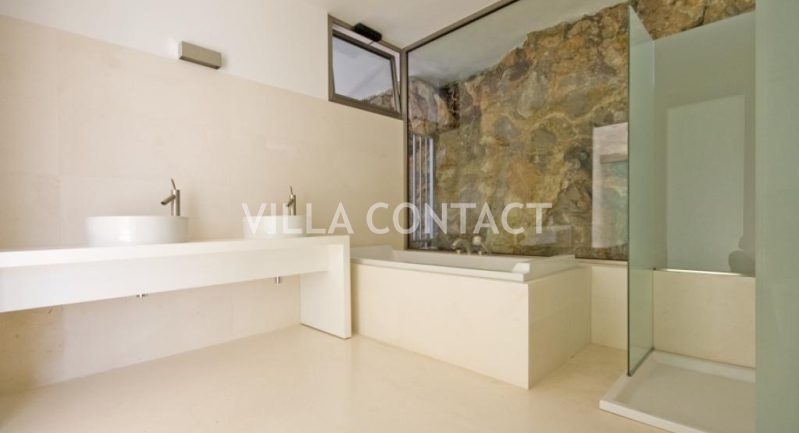 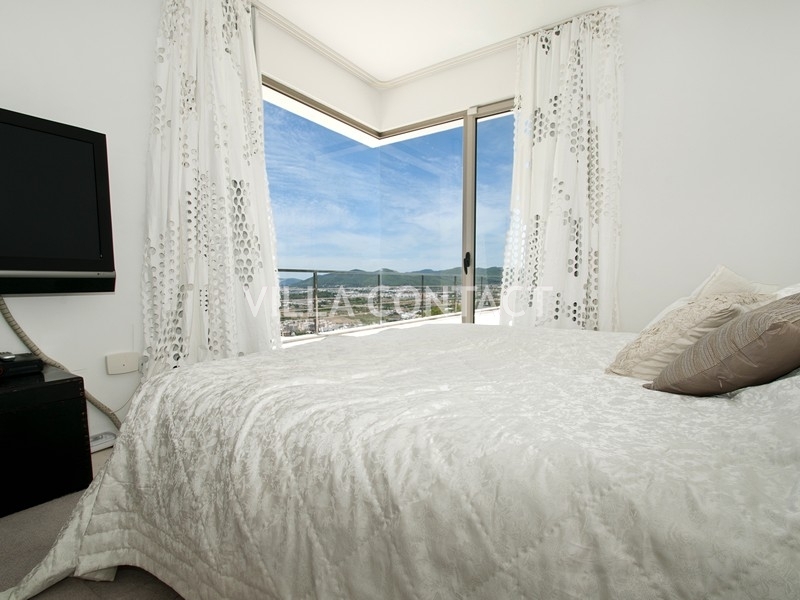 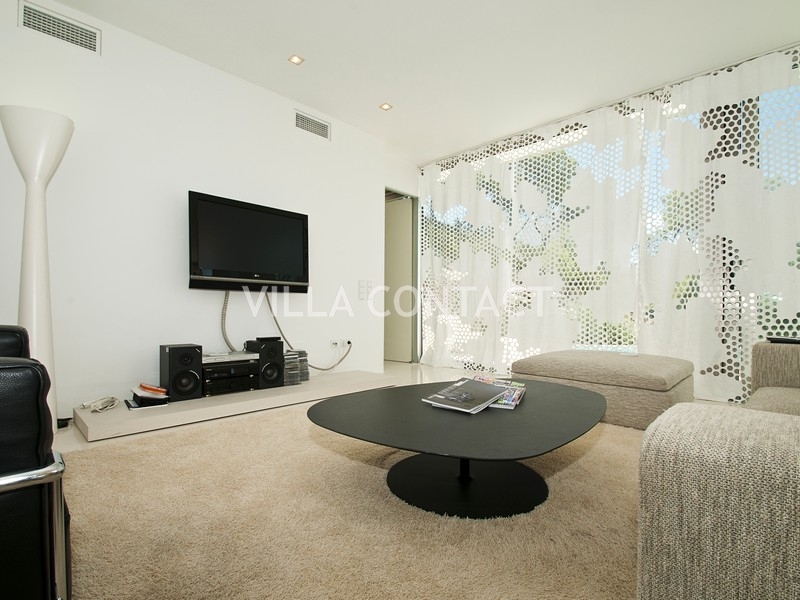 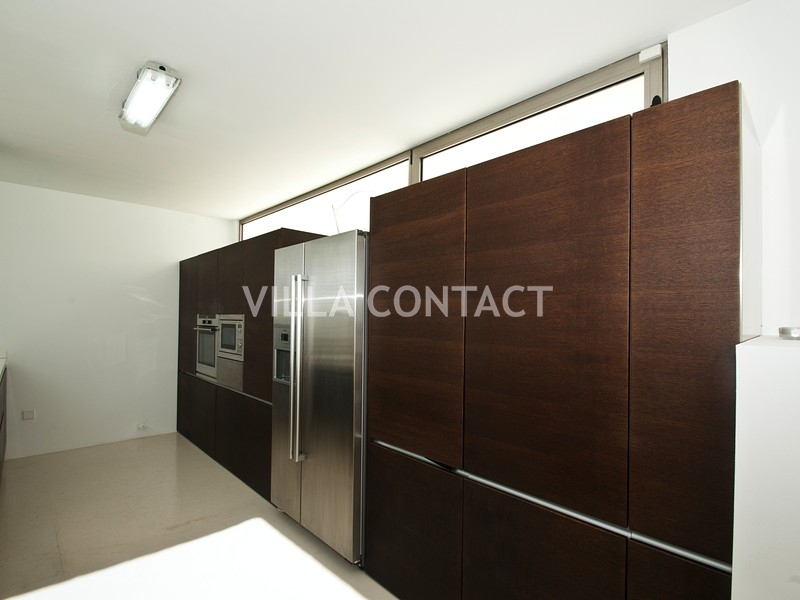 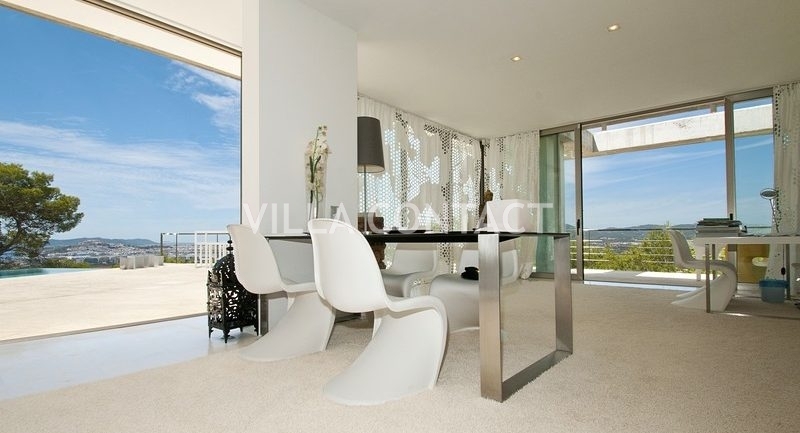 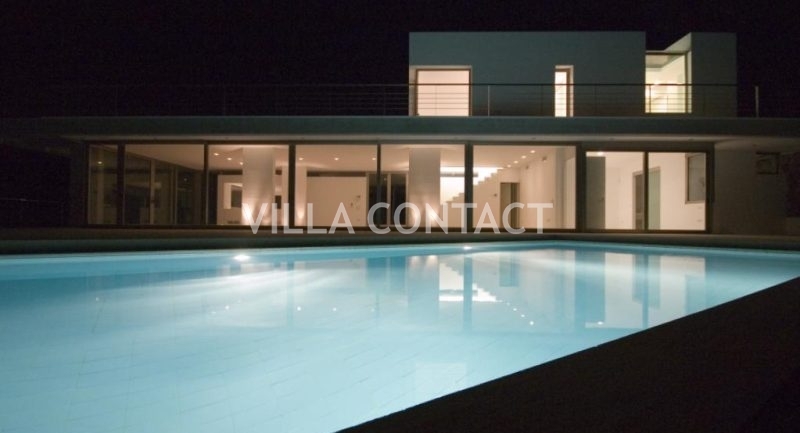 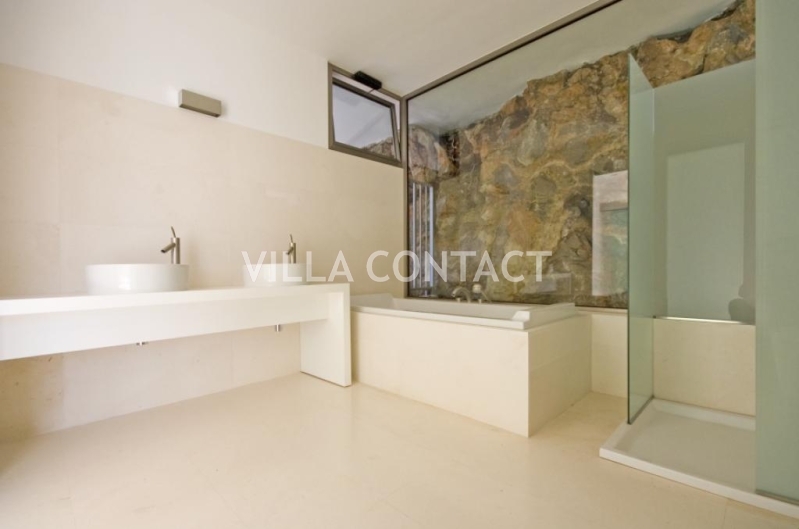 The white finish and huge spaces provide this villa with a real sense of exclusivity and comfort. 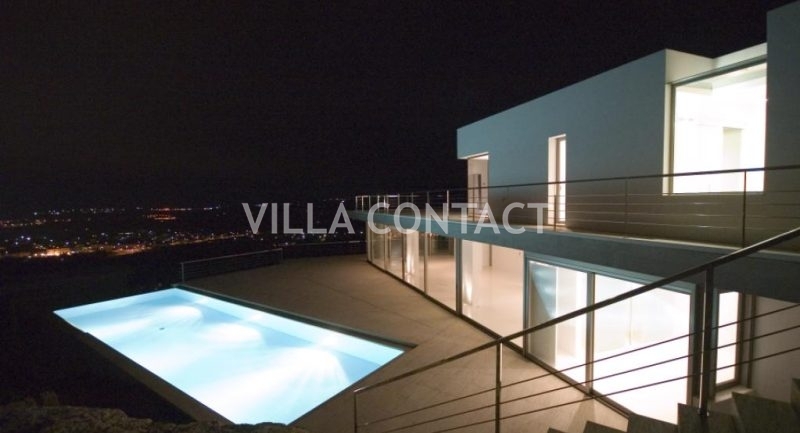 There is an enormous 500m2 unfinished basement that can be completed and designed to accomodate more bedrooms, a gym, spa or a games room. 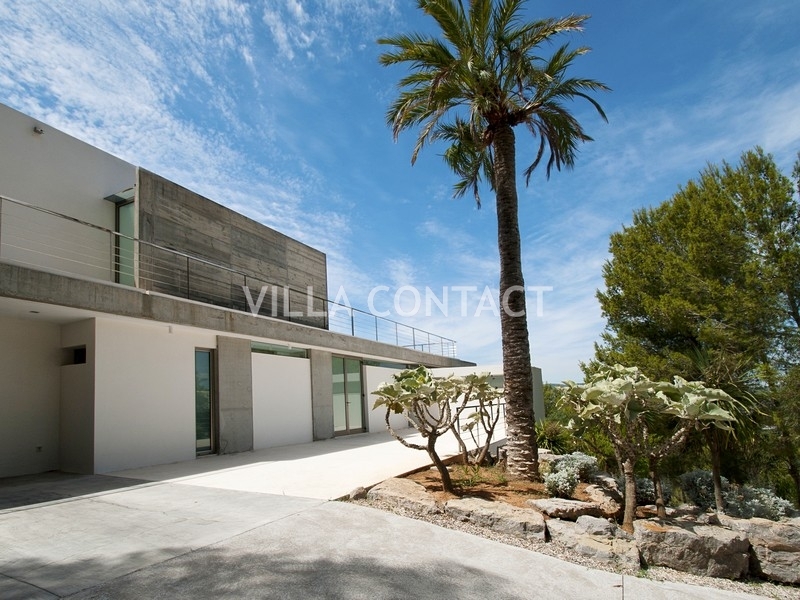 This is an ideal lock-up-and-leave designer villa with secure parking and a low maintenance garden.